20 years ago tonight (1995) – When you hear the words “May Hockey” it almost always means that your team is having a pretty good season. Except when it was the lockout-shortened 1995 season. In the only regular season May game the Isles have ever played, they concluded that season with a 15-28-5 record with a 2-0 loss to the Flyers. Mikael Renberg and Eric Desjardins had first period goals in what turned out to be the last game in their present positions for two very popular members of the Islander family. Lorne Henning coached his final game in his only “full” season; he has replaced Al Arbour after Arbour retired (again) the previous summer. He was replaced by Mike Milbury (and we all know how that worked out). Henning would later serve as the interim head coach at the end of the 2000-01 after Butch Goring was fired. Jiggs McDonald called the game with Ed Westfall – it turned out to be the final game of his career as the regular voice of the Islanders. He would return to the team to serve as a substitute for Howie Rose in the 2006-07 season – a role that the “retired” McDonald continues to serve. As regular readers know, Jiggs got me involved in Islander telecasts when I was a senior in high school. 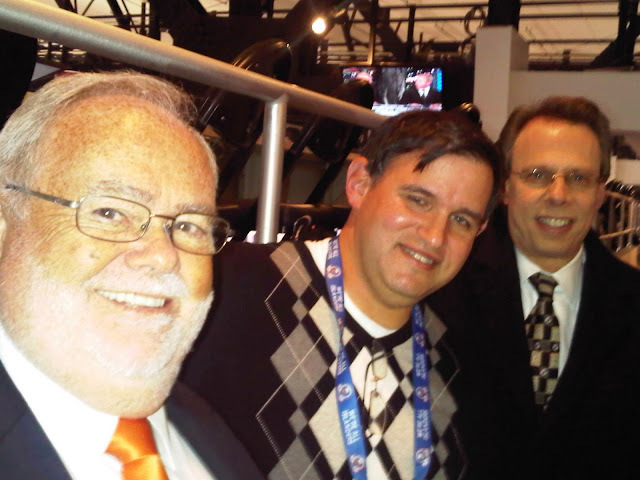 For 33+ years, I’ve worked regularly with only two broadcasters (the first 13+ with Jiggs and the last 20 with Howie). Jiggs is already in the Hockey Hall of Fame as a Foster Hewitt award winner. Someday hopefully Howie will join him. All-time, the Isles have played one regular season and no playoff games on May 2nd at the Coliseum; they have compiled a 0-1-0 regular season record on this date at 1255 Hempstead Turnpike in Uniondale.